Edgar Allan Poe – literary genius – may not have been born in Philadelphia, but he did have an incredibly productive six years living here. One of the horror tales he wrote from his home in Philly was the psychological thriller, The Cask of Amontillado. On Tuesday, Jan. 30, New Liberty Distillery is releasing a whiskey inspired by the gruesome tale. In Poe's short story, Fortunato is entombed alive in the wine cellar of his friend, Montresor, who has lured him there with the promise of fine Amontillado sherry. The New Liberty spirit takes its name from the unsuspecting victim. 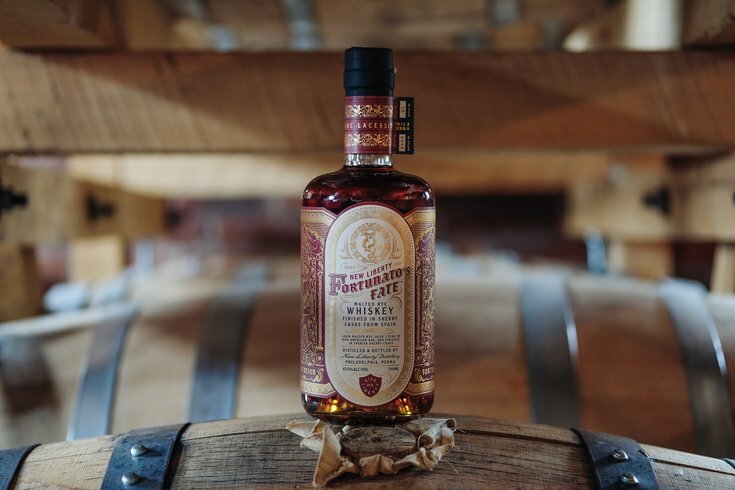 Fortunato's Fate is a malted rye whiskey finished in sherry casks from Spain. The release party will be held 6 to 8 p.m. at Art in the Age's new tasting room in Old City. Edward Pettit (also known as "Philly Poe Guy") from the Rosenbach Museum will be there to talk about The Cask of Amontillado, while Art in the Age staff mix cocktails. The release party will be a special event in the Rosenbach's Bibliococktails Series, which celebrates great literature and great libations.